Gaining popularity while registering a rising trend amongst leading smartphone manufacturers, Android-powered devices will be able to access an updated version of the Android Market, delivering a unique and user friendly interface to discover and purchase apps. In a few weeks time, Android users would be able to witness the change while the updated Android Marketplace will work for devices running Android 1.6 and higher. Android Developers Community flagged out the update as Eric Chu reported on the Android Market Client Update. First thing which users might notice is the carousel interface on the home screen and category screens. 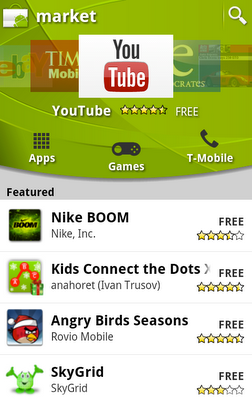 Android users would be able to see featured apps with quick navigation and download. For long, users have awaited for the ‘Related Apps’ feature which now gets listed on each application’s details page. Furthermore, the market would is being gifted with two new categories, tagged as Widgets and Live Wallpapers, while more categories including games and apps would be unveiled soon. Users would be able to experience browse-to-purchase experience, offering access to all the information about an application on a single page without navigating across different tabs. Android Market would also feature application content rating which lets out more information to users who are interested on buying an App. Another change which users might notice is the “Return-For-Refund” feature. Users would have 24 hours from the time they purchase an App to return it for a full refund. The refund process would take not more than 15 minutes which would let developers and app makers run their businesses better. The Android Market would be introducing a support for device targeting based on screen sizes and densities, for developer in order to distribute and manage products. 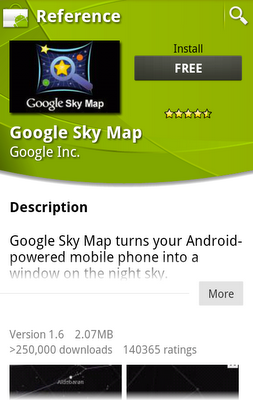 An increase in size up to 50MB for .apk files on the market would also be introduced.